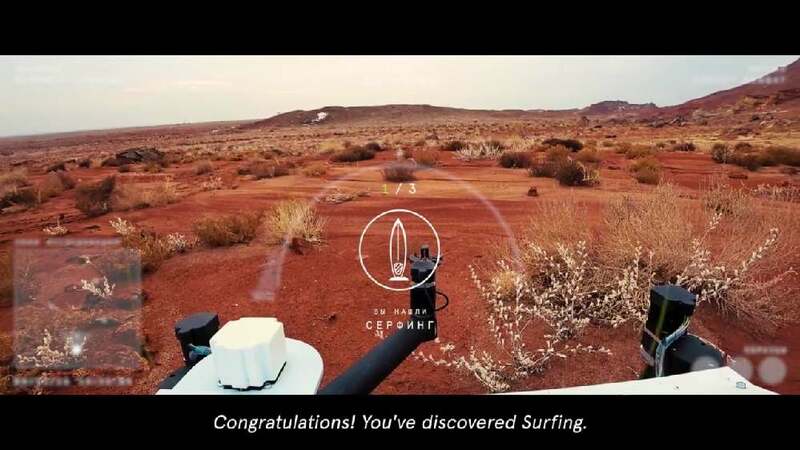 EARTH7 was a live augmented reality gaming experience that invited users to pilot a real planetary rover across a distant desert some 5,000 kilometres away with simple gesture control. Designed for S7 Airlines, this project was revealed in Moscow. The visitors could enter the local Mission Control Centre – a 72 sqm spaceship-like ex-perience zone with a five-metre-wide screen. The sound design system cre-ated a deep space atmosphere, while a specially crafted “command chair” let users feel like astronauts and planetary rover pilots. Each pilot had a mission to find three samples of life on earth. The collectables were rendered in real time via augmented reality game.